Cutting through the acronyms - Gresham Power Electronics explains how to identify a reliable power supply. 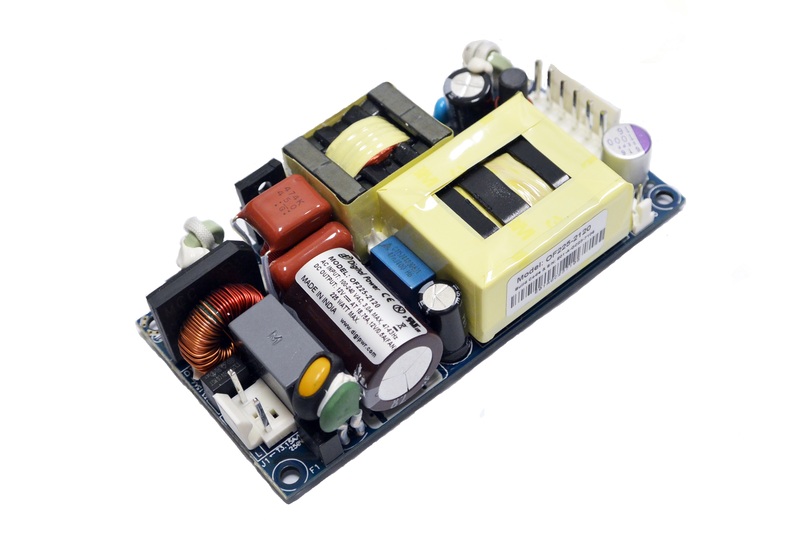 Designers and buyers looking to specify a power supply for a new product have to sort through a large number of seemingly relevant models for evaluation. Each has a product description or a datasheet that highlights operating features and important characteristics relating to the supply’s performance. A deeper look into product information reveals acronyms like MTBF (mean time between failure) and MTTF (mean time to failure). Moreover, power supply manufacturers use different standards and methodologies to calculate reliability ratings. This article considers power supplies with internal electrolytic capacitors and how such a capacitor’s lifetime can be just as important as MTBF and MTTF when predicting system reliability and is designed to foster a better understanding of the information available to buyers looking to select a power supply that will meet the reliability requirements that their application demands. MTBF and MTTF may not be relevant if the selected power supply goes into systems that will only see sporadic use, but when the end product is expected to run 24/7 or be installed into, for example, a life-saving medical device, reliability is very high on a designer’s list of selection criteria. If a power supply fails, it can disable a system, cause major damage to critical equipment and involve costly downtime and repair. The terms MTBF and MTTF are deceptively similar yet very different. These different but related terms typically appear in the reliability section of a power supply manufacturer’s datasheet. They should be used judiciously. For instance, MTBF is often misunderstood as being an indicator of how long a power supply will last. However, this metric is actually based on consecutive failures, derived from field data, over the device’s functional lifetime. It is also dependent on the failure rates of the supply’s internal components and environmental stressors. MTBF is useful for inferring the supply’s overall reliability, not as a predicter of a device’s lifetime. MIL-HDBK-217F: The reliability prediction of electronic equipment in the US military handbook. MIL-HDBK-217F is also commonly used in commercial areas. It provides failure rate and stress factors for components used in electronic systems as well as application-specific stresses. Telcordia SR/TR-332 (Bellcore): Bellcore modified MIL-HDBK-217 for commercial applications, emphasising parts count, lab test, field test and burn-in test data to predict reliability. IEC 61709:2017: This guide emphasises environmental factors to forecast reliability. 217Plus: 2015: Based on MIL-HDBK-217, Quanterion Solutions developed the methodology using “enhanced approaches to account for environments, for quality, and for cycling effects on reliability” for government and industry. Others: 299C (Chinese standard), RCR-9102 (Japanese standard). These guides and methodologies place different emphases on various stress and environmental factors, so it is important to ask the power supply manufacturer how it calculates MTBF. Knowing which prediction method was used can influence the confidence held in a supply’s MTBF figure. MTBF is the average amount of time that the device is expected to perform in the field. It applies to non-repairable devices, so the power supply’s end product should be considered. If it is expected to have a short service life or operate a limited amount of times before replacement, MTTF may be a useful reference. It may also be suitable for critical applications in which failure is not an option. As military testing is more stringent, Gresham typically bases its MTBF figures, published in its datasheets, based on MIL-HDBK-217F, but other MIL standards or guides may be used depending on the product. The datasheet may also include the test conditions such as ambient temperature and whether the device was tested under full load. If in doubt, ask the technical staff about any concerns relating to how power products are tested for reliability. Engineers should also ask the power supply vendor for reliability information pertinent to the unit’s internal components. The electrolytic capacitors should be noted because they are often the first internal component to fail. It is also recommended to keep the anticipated thermal conditions in mind, too. When selecting a power supply, consider MTBF or MTTF as an initial guide to its reliability. Find out how the manufacturer calculated the statistic, based its prediction methodology, and tested the unit and under what conditions. Also, learn as much as possible about the reliability of the internal components. The more information obtained about these and other relevant factors will ensure the correct power supply is selected for the application. Designers commonly look at the MTBF ratings of power supplies to make sure they will operate reliably in an intended application. Although it can be a useful indicator, MTBF does not reveal the entire story about a supply’s reliability. For example, MTBF does not predict the power supply’s lifetime. It is the total functional life divided by the number of failures but that expected time between failures can be longer than the life expectancy of the power supply’s internal components. Electrolytic capacitors are usually the first components to break down inside a power supply. If the capacitor cannot reliably store energy as needed, the power supply’s reliability suffers. Several conditions can cause a capacitor to fail, so it is recommended that the power supply manufacturer is consulted to determine how the capacitor will handle the rigours of the application environment before specification. The failure rate of the equipment depends on three factors, the power supply’s complexity, stress and its generic reliability. Addressing complexity first, keeping things simple is the best policy; what isn’t there can’t fail. Conversely, what isn’t there can cause a failure. A complicated or difficult specification will invariably result in reduced reliability. This is not due to the shortcomings of the design staff, but to the resultant component count. Every component used will contribute to the equipment's unreliability. For electronic equipment, the most prominent stresses are temperature, voltage, vibration and temperature rise due to current. The effect of each of these stresses on each of the components must be considered. Great care and attention to detail is necessary to reduce thermal stresses as far as possible. The layout has to be such that heat-generating components are kept away from other components and are adequately cooled. The importance of these provisions cannot be under-estimated. The failure rate of the components will double for a 10ºC increase in temperature. Decreasing the size of a unit without increasing its efficiency will make it hotter, and therefore less reliable. Generic reliability (also known as inherent reliability) refers to the fact that, for example, film capacitors are more reliable than electrolytic capacitors, wire wrap connections more reliable than soldered ones, fixed resistors more reliable than potentiometers. Components have to be carefully selected to avoid the types with high generic failure rates. Quite often there is a cost trade-off, as more reliable components can be more expensive. Assessment is the most useful way of predicting the failure rate. A number of units are put on life test, at an elevated temperature, and so the stresses and the environment are controlled. MTBF is not the only reliability metric to look at when selecting a power supply. Internal components, like electrolytic capacitors, have limited lifetimes, and this should be taken into account. Capacitor lifetimes can be determined by a host of both operating and environmental factors, especially when it comes to thermal conditions. Although it is desirable to look for built-in capacitors that offer long lifetimes in a wide range of operating environments, not all capacitors are equal. Better-quality capacitors use better-quality electrolytes, for example. 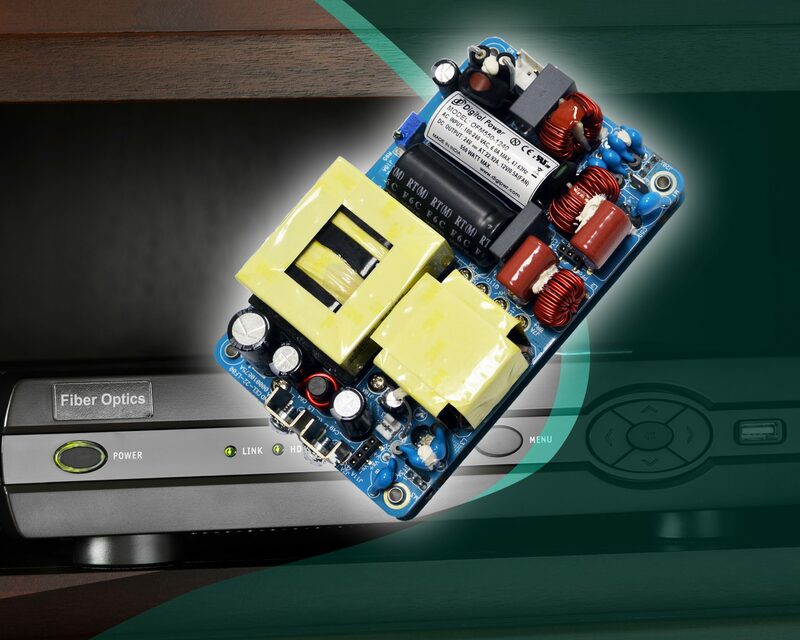 Gathering as much information as possible about the built-in electrolytic capacitor from the power supply manufacturer is strongly advised to determine whether it is appropriate for the intended application. For peace of mind, look for a company that can provide the technical information, expertise and testing relevant to internal electrolytic capacitors to select a power supply that will meet expectations in the field.